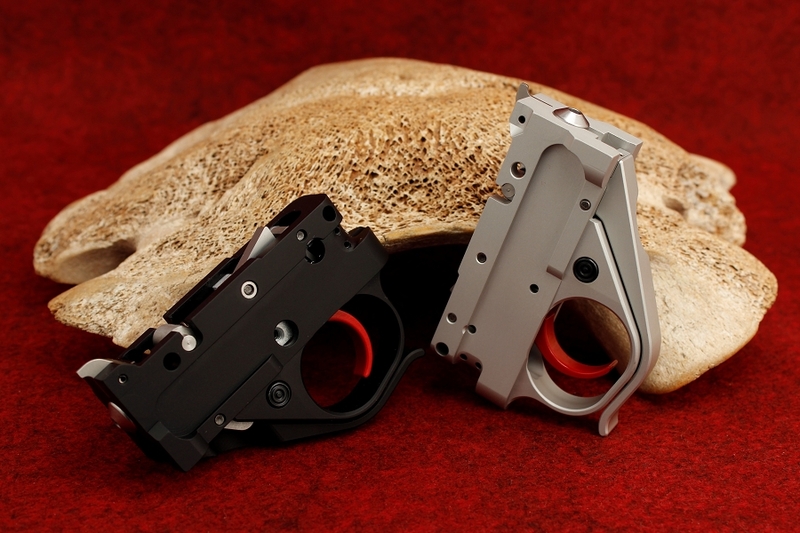 Our trigger is the best aftermarket 10/22® trigger on the market. 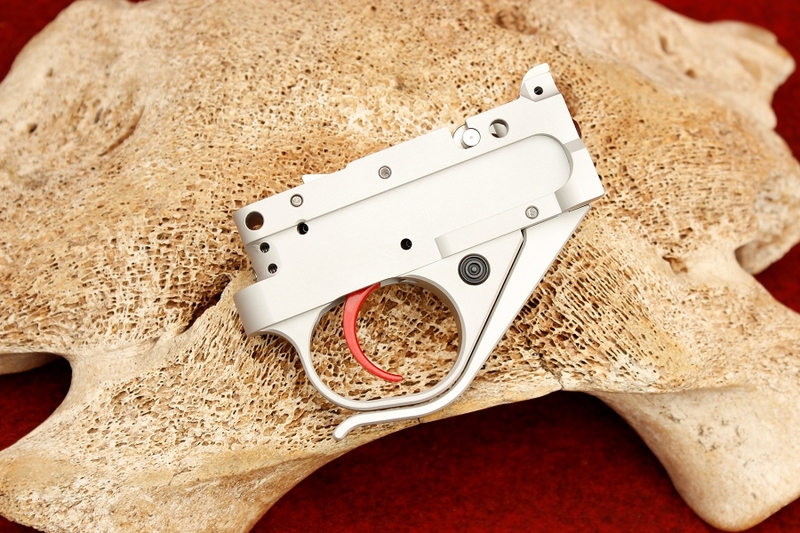 Whether you shoot Smallbore Silhouette, the Sportsmans Team Challenge or just hate Crows and Groundhogs this is the trigger you have been looking for. What makes it the best you ask? Tony Kidd's patented two stage design. 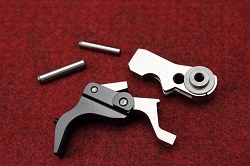 It offers the incredibly clean and consistent let off expected in a target trigger while maintaining the total reliability and safety required of a field trigger. The pull weight can be infinitely distributed between the two stages offering a pull as light as 6 ounces (3 ounces on the first stage and 3 ounces on the second stage) or as heavy as 2.5 pounds. 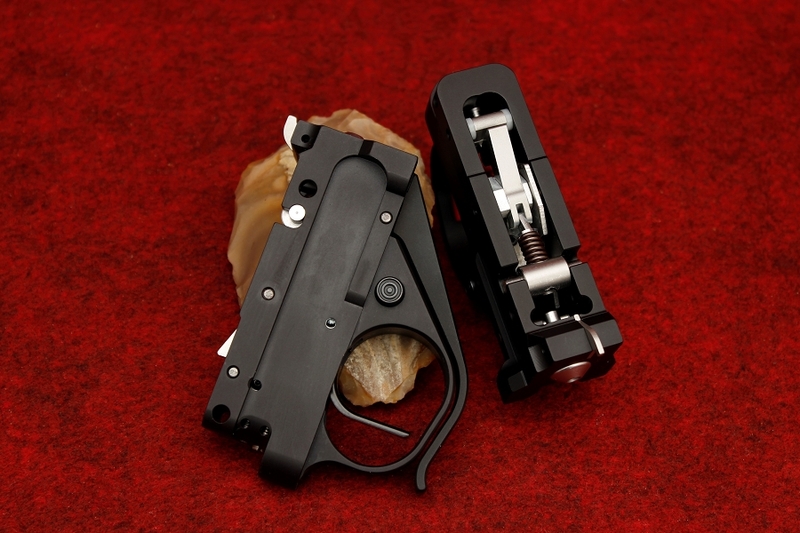 We will gladly distribute the trigger weight to your individual needs. 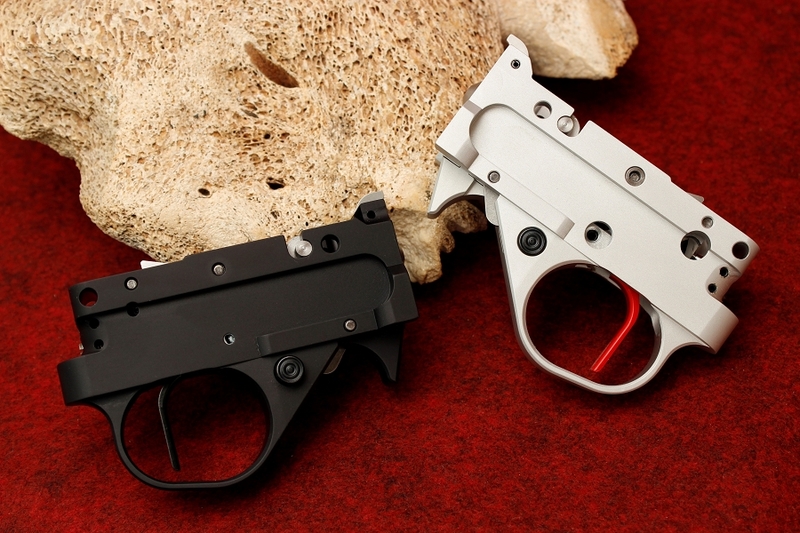 We offer black and silver anodized trigger bodies/guards both supplied with our signature red trigger (or as a customer from San Antonio, Texas referred to it "the salsa trigger"). 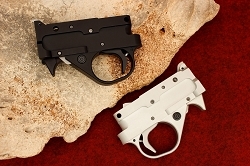 Both black and silver trigger bodies have a matte glare free finish. 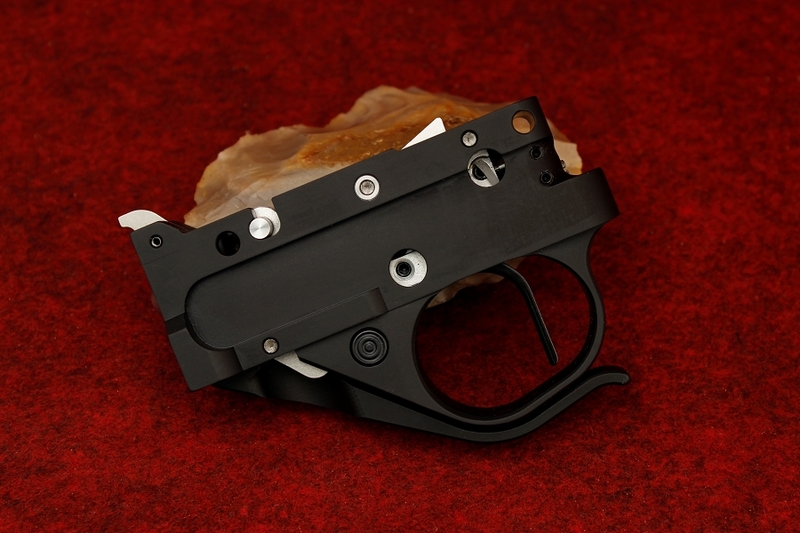 We have offered a straight trigger shoe option in our trigger housing for years, but the concept is still new to most customers. 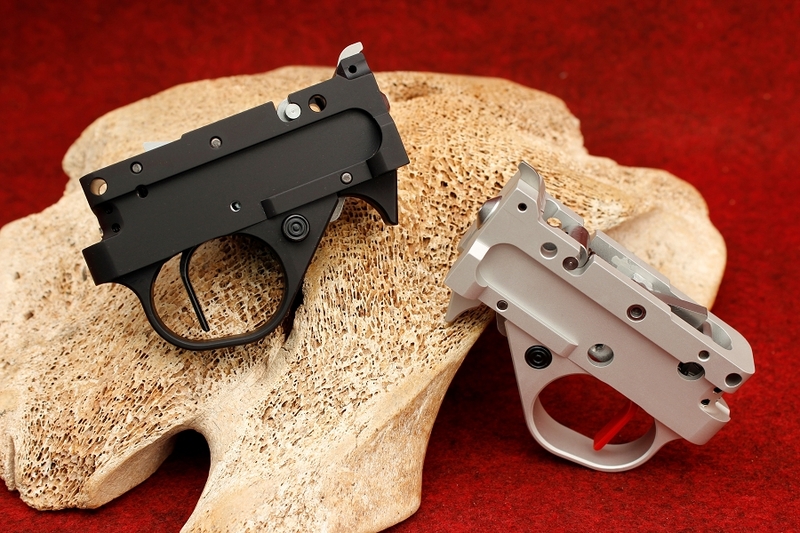 The straight trigger replaced the standard curved trigger nicely and feels particularly good with a pistol grip or thumbhole style stock. We recommend that if you use a sporter style stock that you stick with the standard curved trigger. 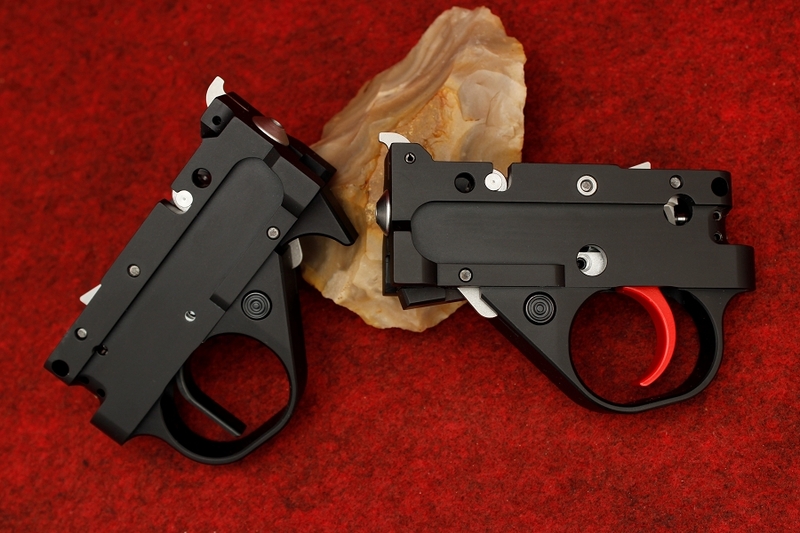 Our curved and straight trigger shoes are available in both red and black powder coating. 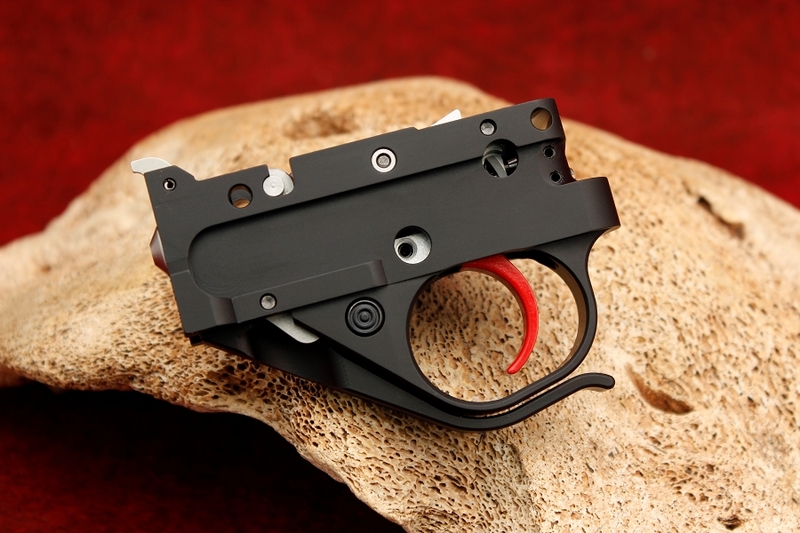 The two-stage trigger also comes with an auto bolt release already installed. 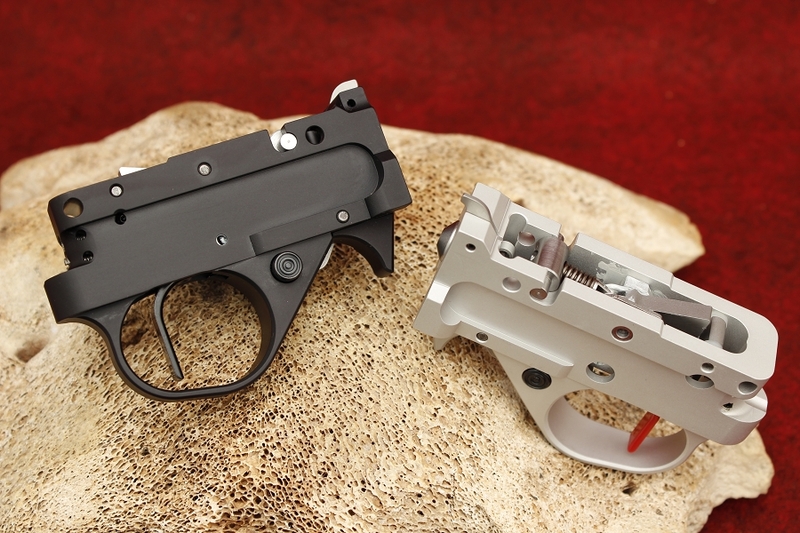 What the heck is a two stage trigger? 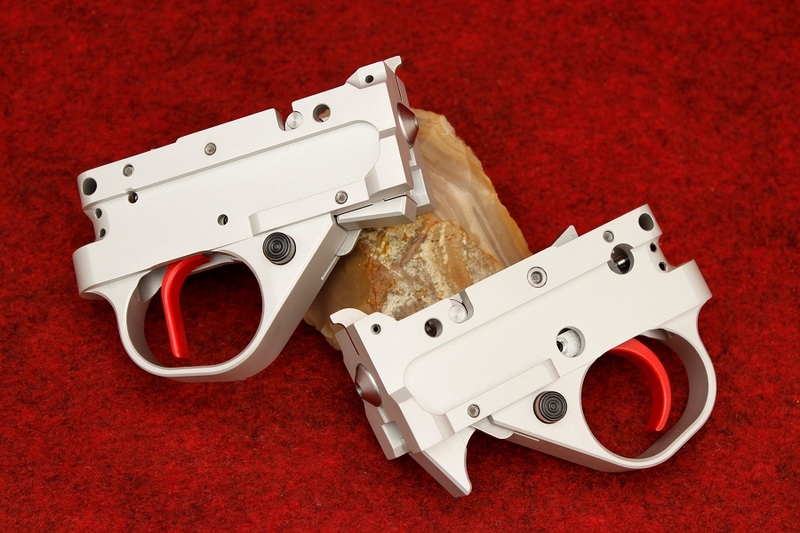 The two stage trigger offers a unique geometry which allows a very clean, light and repeatable break. 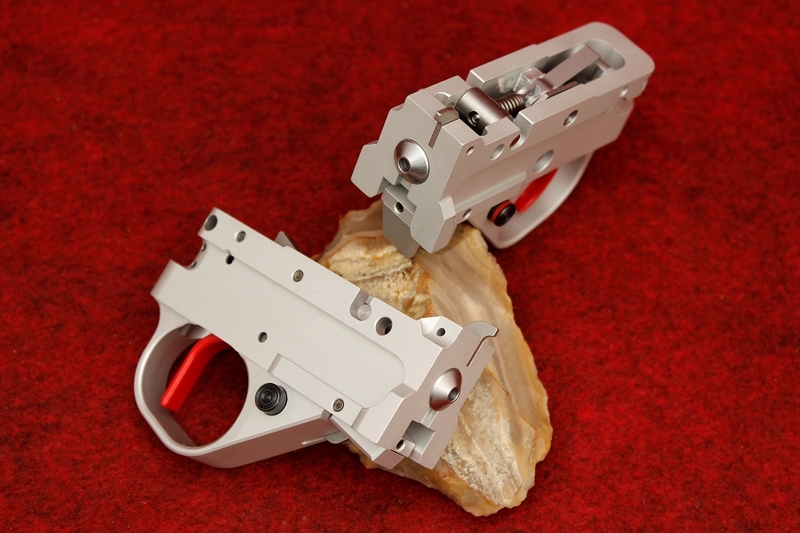 This is accomplished by distributing the trigger pull weight into two distinct segments. The first segment or stage is an initial take up which leads to the second stage. 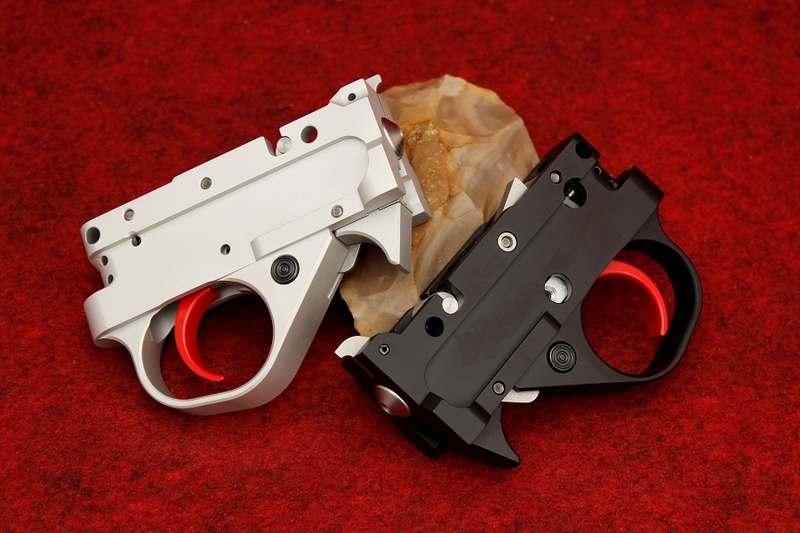 As you pull the trigger rearward taking up the first stage weight, you will feel a stop. This is the second stage. 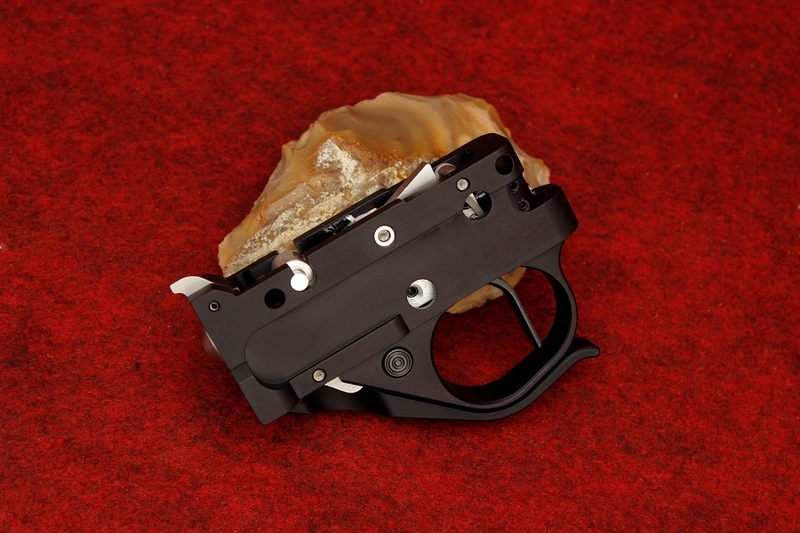 At this point the hammer and sear are engaged by .001" and any further rearward movement of the trigger will release the hammer firing the shot. 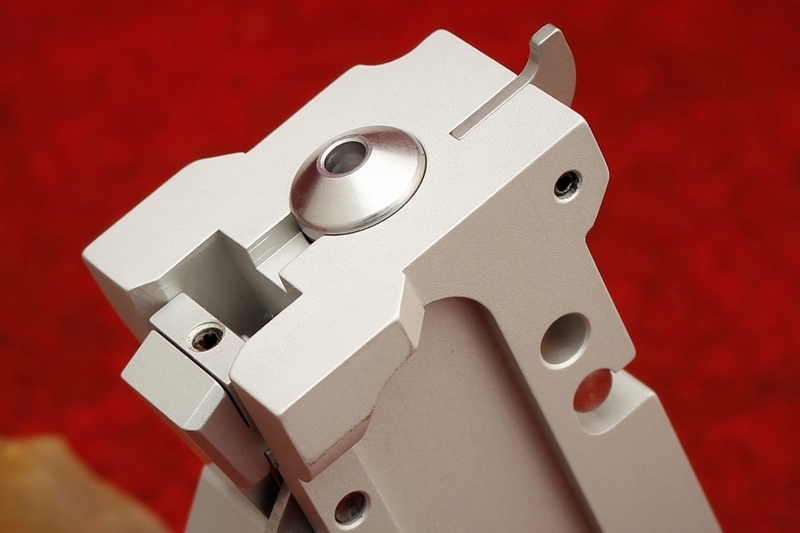 The advantage to this system, which is used on all European competition autoloaders, is the ability to not only have very consistent trigger breaks but to also allow light and reliable trigger breaks. In an autoloading rifle this can only be accomplished with a two stage trigger. 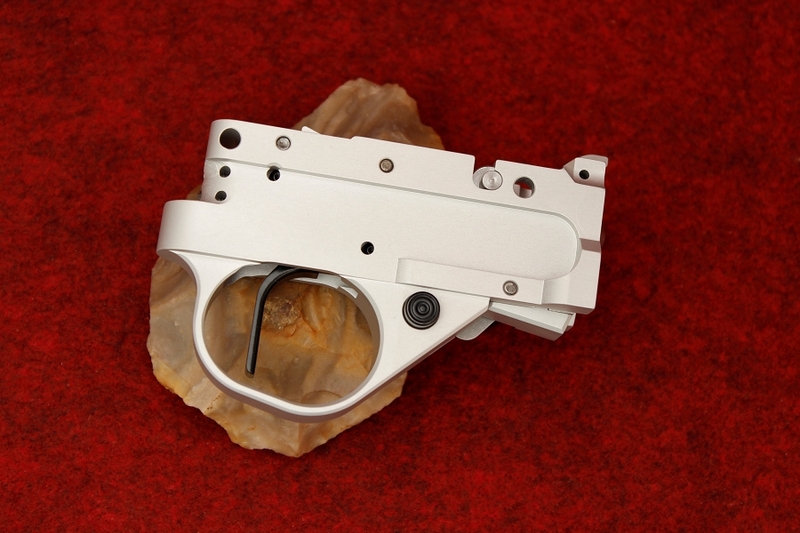 When cocked, the two stage has approximately .040" hammer and sear engagement, almost 10 times that of the factory trigger. 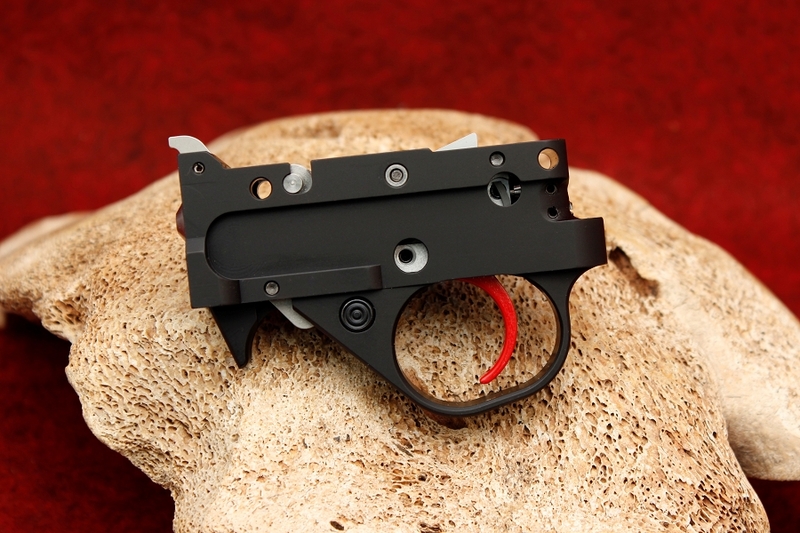 Only KIDD offers a 10/22® trigger assembly which incorporates precise let off, complete reliability and total safety. We offer two hammer spring options, standard and magnum. The magnum spring can be purchased for an extra $4.00 during check out and should be used with the .22 magnum and 17HMR. Our two stage trigger drops into nearly all 10/22® models with minimal exception. If this trigger is going in a SR-22® please let us know so that we may remove a small amount of material from the rear tang. 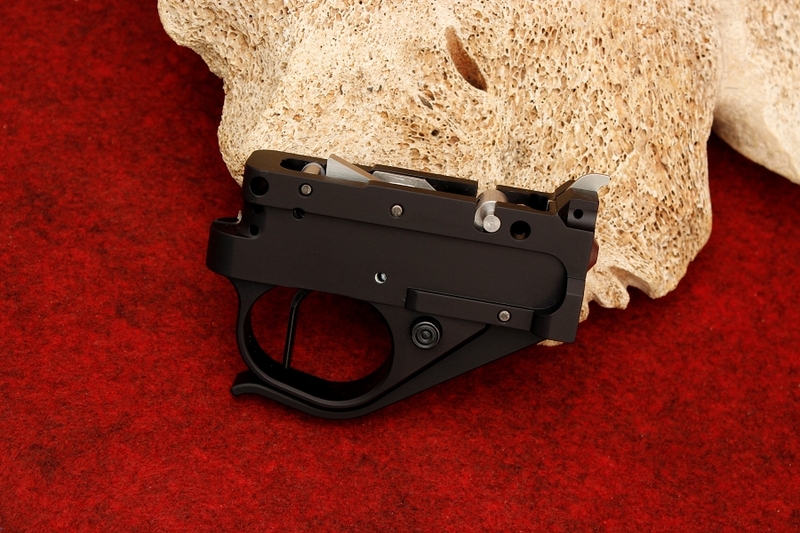 With our recently updated look, we have slimmed down the rear of the trigger guard so that it now fits without modification into the pistol grip style stocks that engulf the rear of the trigger guard giving the rifle that handgun appearance around the trigger area. All KIDD triggers require a signature upon delivery. Wow. I put this in another manufactures rifle. 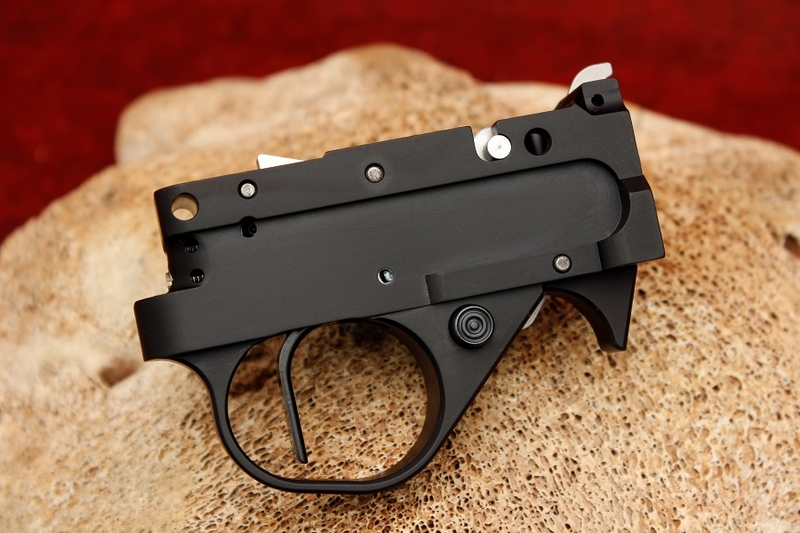 Ordered the trigger 3 oz - 3oz. Shrunk my 50yd groups alot. If you can't shoot with this trigger take up bowling. I am by no means a wealthy man but I don't regret a penny of the money spent on this trigger. What a joy to shoot. Thanks! I bought a super grade target rifle a while back. Great gun that's much better than me. I like the trigger so much I ordered one for another of my 10/22s.That gun has a replacement from a well known manufacture. 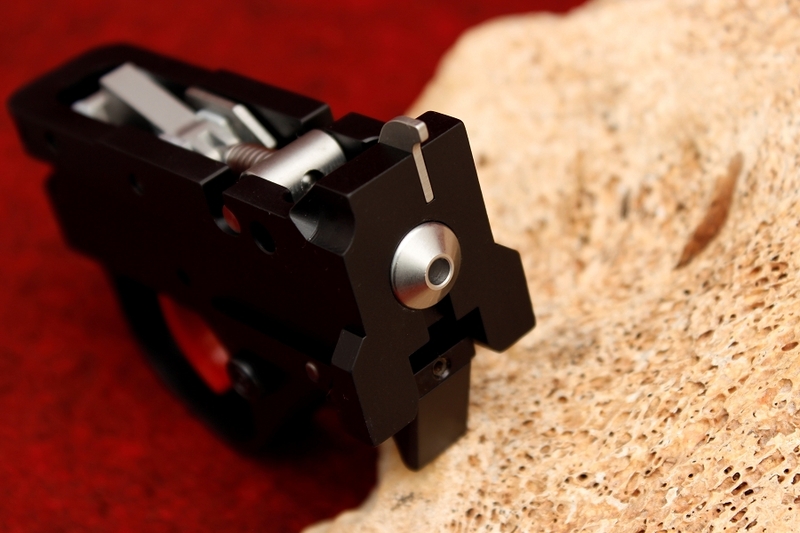 This trigger is the first item you may want to use to update your rifle! I've had a 10/22 since the early 1980s. Over the years, I've put a bull barrel and a stock on it, and mounted a scope, but I've always wanted to take it to the next level. Now that I'm older, the parts, while expensive, are within my reach. I ordered a two stage trigger, a bolt, and a scope rail. All arrived within a week despite the $5 shipping. Everything is very well made, and drops it in. The result, first impressions are that I've taken my rifle to the next level. This is easily the best trigger that I've ever used. smooth, consistent, light pull and *BANG*. If you have a few extra bucks to spend on your project .22, you wont be disappointed! Outstanding product, go big or go home.